Print of Commercial Street, Spitalfields, London is 33cm x 40m, signed and numbered. This print of Commercial Street, Spitalfields, London is 33cm x 40m, signed and numbered. The newsletter will be sent out on the 26th April 2018. I look forward to your sign up in the box on this page. 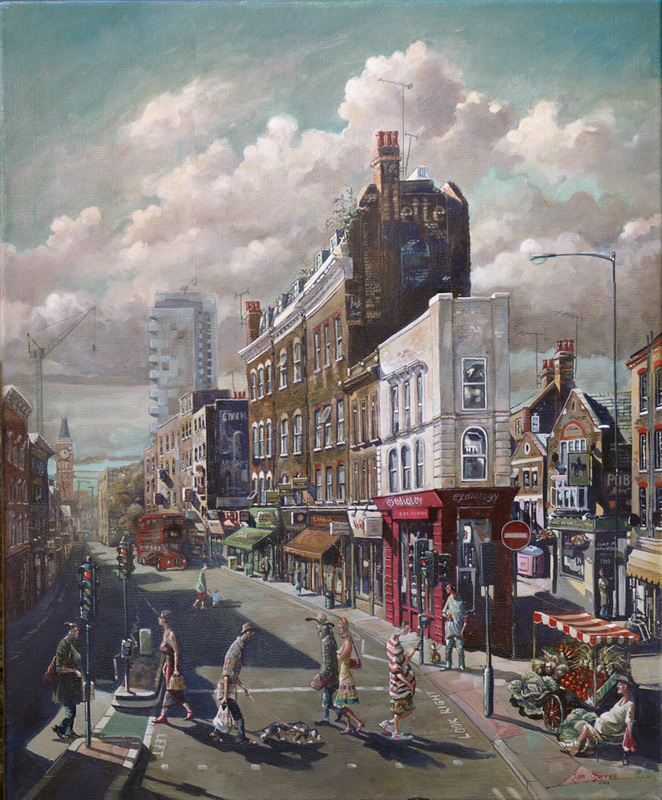 The painting is based on a crossing on Commercial Street in Spitalfields, and the origional was exhibited at The New English Art Club’s Annual Open Exhibition at the Mall Galleries in Central London.